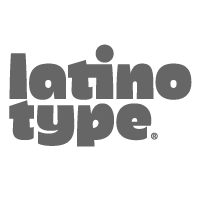 Based in Concepción and Santiago, Chile, Latinotype’s founders say, “Our goal is to design new typefaces remixing diverse influences related to our South American identity with high quality products for the contemporary design industry.” And the duo have been doing just that since their foundry’s creation in 2007. Many of the foundry’s best selling fonts have been recognized as some of the design industry’s most popular fonts such as Showcase, Arquitecta, and Trend; a MyFonts Most Popular Fonts of 2013 pick. They’ve produced everything from elegant,sophisticated scripts like Ragazza Script to popular, whimsical fonts such as Ride my Bike (featured in MyFonts Most Popular Fonts of 2012) and Four Seasons.